NEW! Never run out of guitar picks again! 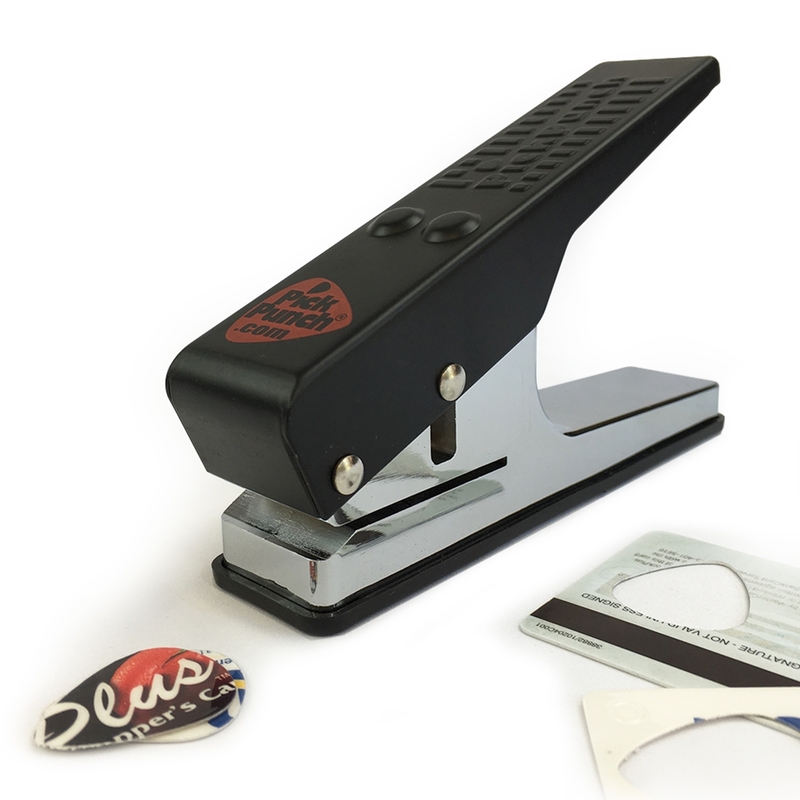 The authentic, durable Pick Punch works just like a hole punch -- put in any plastic sheet like an old gift card, get a standard guitar pick. 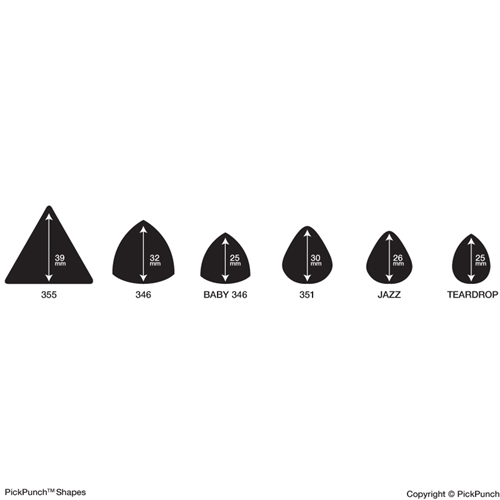 It also makes the perfect gift for guitarists. 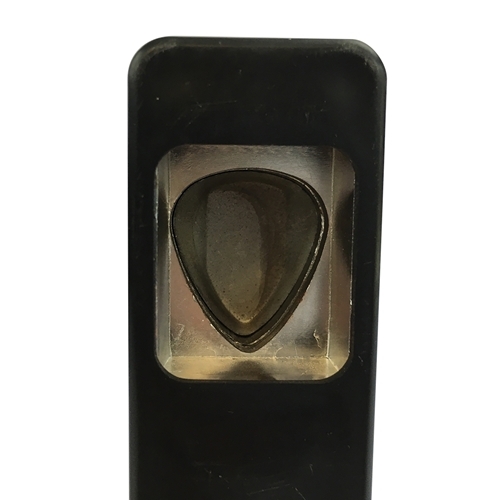 This punch makes THE standard guitar pick shape -- measuring 1-3/16" (30mm) tall by 1-1/16" (25.5mm) wide at the top. 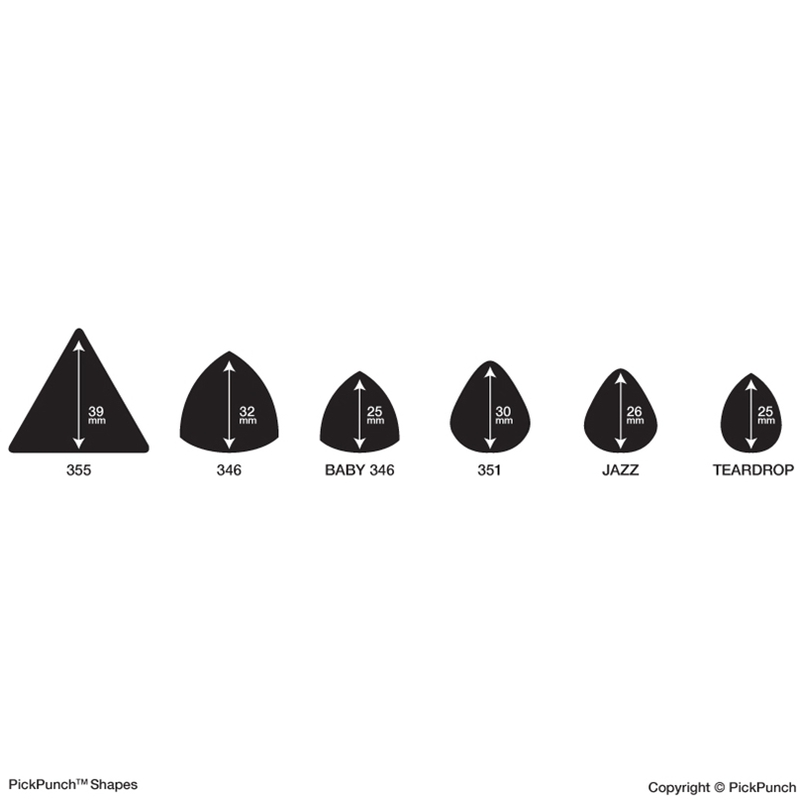 This is by far the most common guitar pick shape. The punch comes with a sanding tool at the bottom for any rough edges. It does not come with plastic for punching. The punch weighs over 1 lb, so it will be shipped USPS Priority.